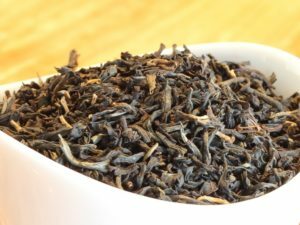 Darjeeling – Margaret’s Hope has distinct Darjeeling notes. This Indian black tea has a delicate astringency and the characteristic Muscatel front flavor. Margaret’s Hope is a classic black for the tea drawer. The Margaret’s Hope tea plantation is aptly named after its owner’s daughter in the the 1930s. The daughter loved the tea farm and wanted to return after her first visit from England. Sadly, she died on the return trip. To honor Margaret, her father named his tea plantation after her.